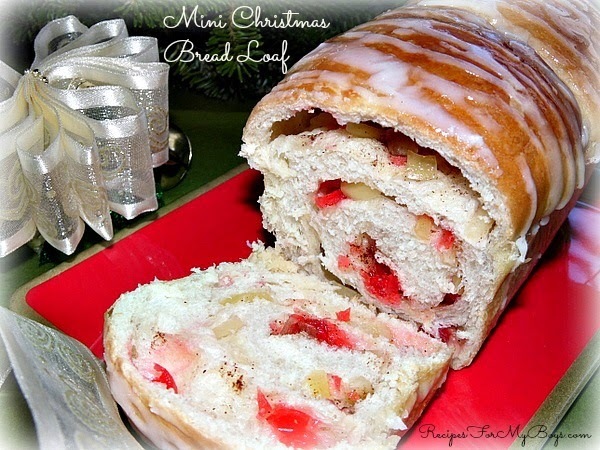 Recipe for this lovely Mini Christmas Bread Loaf can be found at Rhodes Bake-N-Serv. 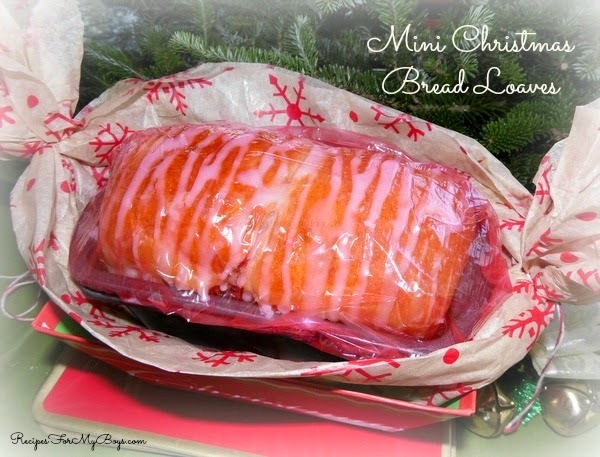 Rhodes has wonderful Gift Giving ideas, recipes and free tags and bread wrappers to download! 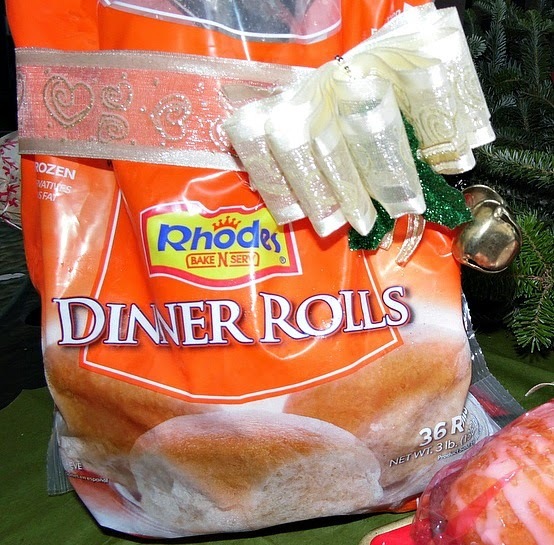 A package of Rhodes Dinner Rolls would be an awesome gift to give (and receive!). I use them all the time for so many different recipes aside from the obvious. 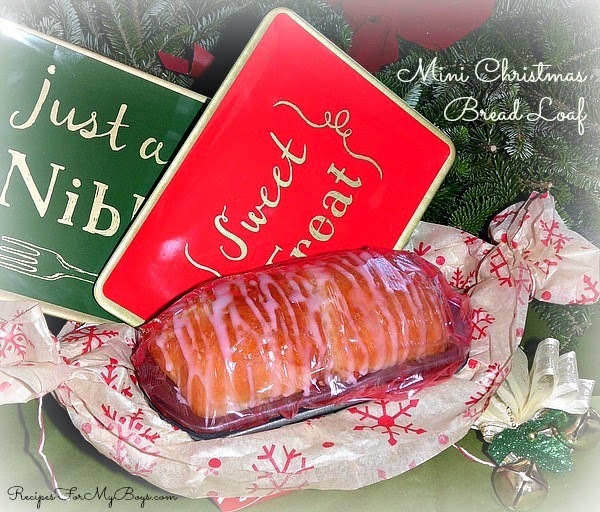 I added 2 mini loaf pans and cute little plates with my Mini Christmas Bread Loaf. 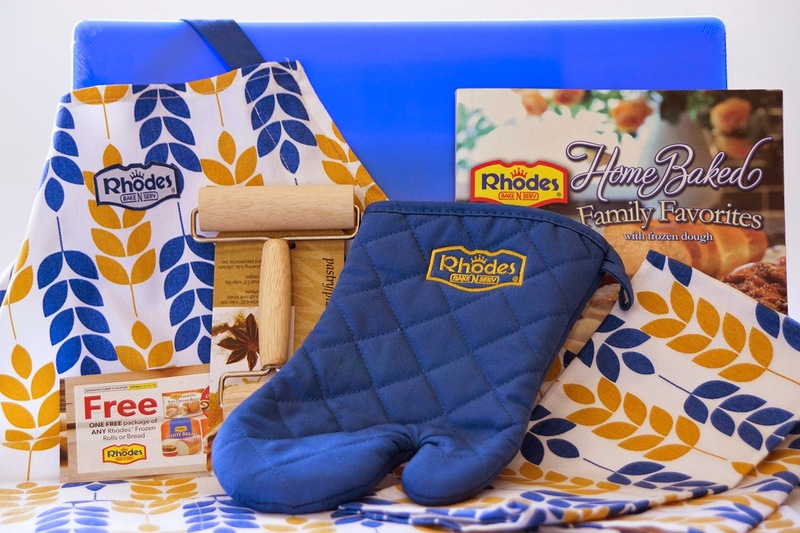 I love hosting Rhodes' fantastic and fun giveaways and this is one of my favorites! Giveaway runs December 11 thru December 18, 2014...open to US and Canada only. Winner will have 24 hours to reply to email. Best of luck!